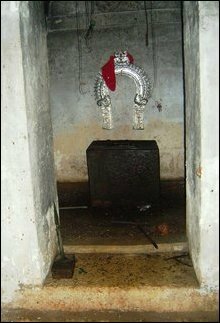 The statue of the main deity at Vizhichiddi Chivakurunaathar temple, which remained at the temple when the families were recently allowed to visit the village, was also robbed away in recent days, the uprooted people complained Tuesday when they attended a meeting organized at Pannaalai Kanakasapai Viththiyalayam. 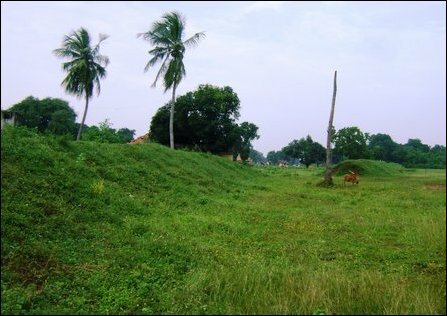 The SLA was opposed to removing the sand bunds constructed by the military years ago during the war in the villages bordering the HSZ. The military would only allow removal of a few of the bunds along the roads inside the villages being returned to them, the civilians who had come to meet humanitarian officials engaged in Landmine and Unexploded Ordnance (UXO) Awareness, told media. The renewed hope of resettlement in the three villages seemed to fade away after the dispute on access route to their villages. Rejecting the SLA claim that there were high security establishments, the civilians said there are no military fortifications along the access roads Ampalavaa'nar Road, Aaladi veethi, Mayilu-kadai junction. 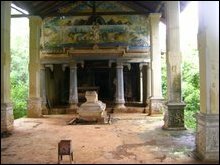 Some of these access routes are also used by the Sri Lanka Navy, which is refusing civilian access to the roads, they further said. Mahinda Rajapaksa, who recently claimed he has a 'solution in mind' also told the N. Ram of The Hindu that elections in North would not be based on 1981 census. 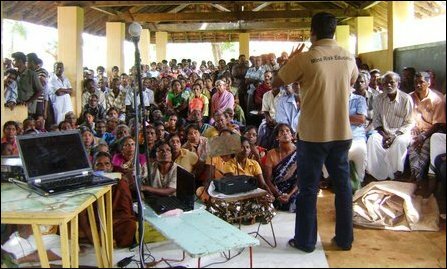 The Sri Lankan state, engaged in land grab is scheming a carefully planned militarised colonisation of traditional Tamil land aiming to make Tamils a 'minority' in their traditional homeland, civil sources in Jaffna said. 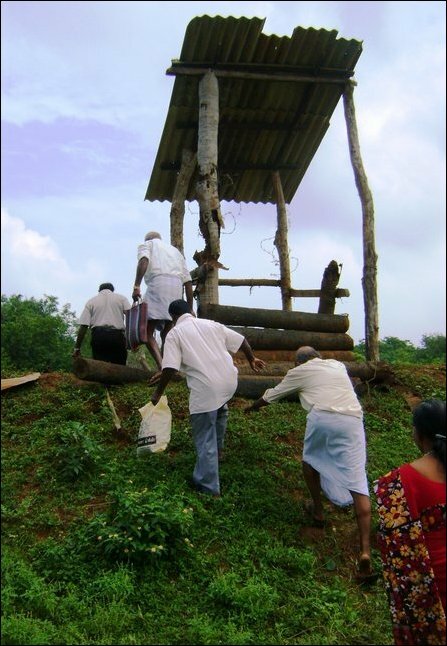 01.12.10 Properties, temples of uprooted Tamils robbed in V..
30.11.10 SLA suspends resettlement in Valikaamam North HSZ ..